The key to converting a visitor into a client is the creation of trust. Your product can be the greatest thing on earth or the dullest office supply ever, both can be sold online when your visitor knows you are the best supplier for that product or service. We often advise on how to gain trust in our website reviews, and I’ve compiled a list of some of the advice we’ve given over time. Of course, trust can be earned in more ways than this, but we’ll give you these seven tips to create trust to start with. Not using a clear and normal language is an often overseen issue that causes a lot of grief with your visitors. Please speak their language. Don’t drown them in a sea of technical specs you don’t even understand yourself. Use a clear and direct style of writing. Keep your audience in mind. Do not focus on telling them what you want to tell them, focus on providing as many arguments as possible why their quality of life improves after buying that specific product. This will create trust as it comforts your visitor. A lot of websites have testimonials these days. 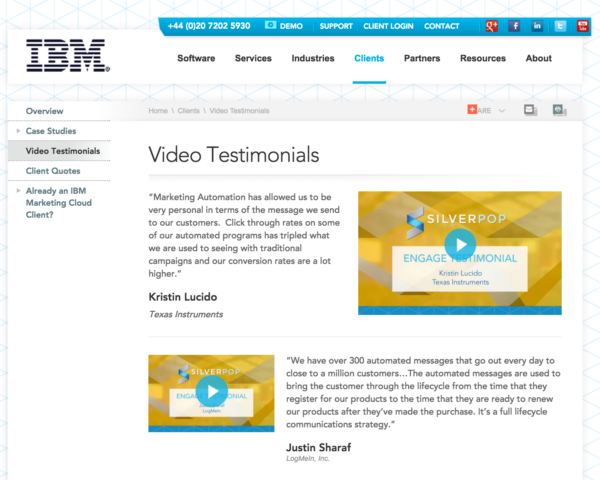 That doesn’t mean they’re all leveraging these testimonials the right way. Testimonials are great to create trust. But if they’re only on the testimonial page and nowhere else, odds are not a lot of people will find them. So you need to put them on pages where people will find them. Your landing pages and near call-to-actions, even below your shopping cart would probably be good spots. Please test for yourself and see what works best for your audience! By investing in the guidelines of the right verification companies, the webshop shows that it has been keeping the customer in mind when setting up the website. Usually, the security seal comes with a link to a certificate. That certificate should be on the website of the company that verified the website’s security. Now I guess not many people will click that link, but if you add these seals, please do it right and add that link. 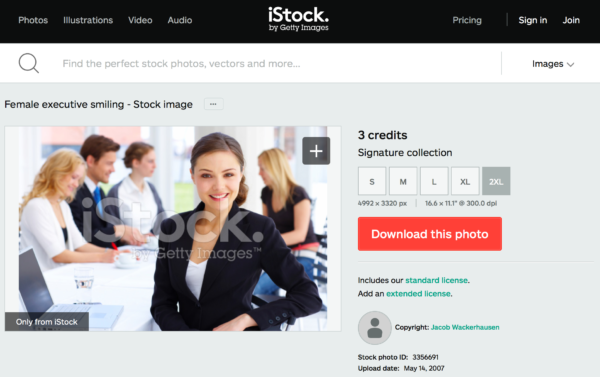 You can do better than that stock photo. Anne Sofie (the model in the image) is probably a very nice woman, but listing actual pictures of yourself and/or your employees creates trust and pushes conversion due to recognition and identification. If you are using something like live chat on your website, this experience will definitely be enhanced by using an actual employer’s photo at that chat. People want to know there is a place to go to in case of problems (if any). Having an actual store next to your eCommerce shop works even better, especially if a lot of your customers are relatively local. In the Netherlands, digitalstreet.nl made this concept into a huge success. Even though they’re located in the southwest of the Netherlands (near to where we are), people come from all over the land to their store to pick up purchases. There are more stories like that. Even if you don’t want people visiting your store or storage for that matter, I’d list your address. On checkout pages, this will increase trust a lot. 6. What happens after checkout? There’s this hesitation in almost all buying decisions: right before you click the Pay Now button. What will happen next? Will I be charged for taxes, import, anything else? Can I select a wrapping paper? Explain what happens after clicking that button. That way the customer is included in your ordering process and there are absolutely no surprises. This can be done with just a few short lines of text: “This order is 100% guaranteed. There will be no additional charges upon delivery.” Add a message like that right below your checkout button, and it will comfort a lot of your customers. Conscious or unconsciously, it’ll be easier to complete the order for your customer. The most important thing is that your website has to reflect your belief in the product or service you provide. Just a list of products is not enough. Also, tell your customer about your company, your main values or mission statement. I really love initiatives like 1% for the Planet. 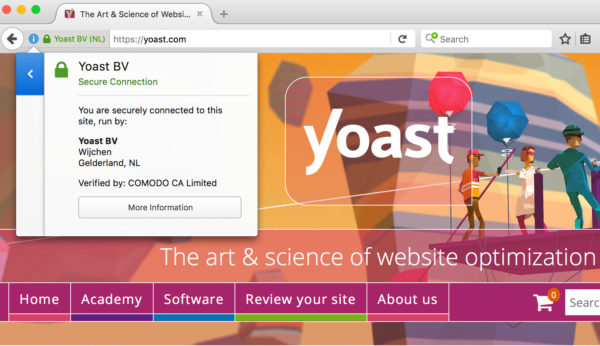 At Yoast, we emphasize our enthusiasm for Open Source and WordPress by actively engaging in the community and for instance sponsoring WordCamps and WP Meetups. Next to showing that you are involved, things like this create a huge sympathy and trust factor. If you sell products or services on your website, you must have thought about this subject. Some things to consider: What did you do on your website to increase trust? And what are you going to do after reading this article? Good luck!